IT Innovation. What's your plan? 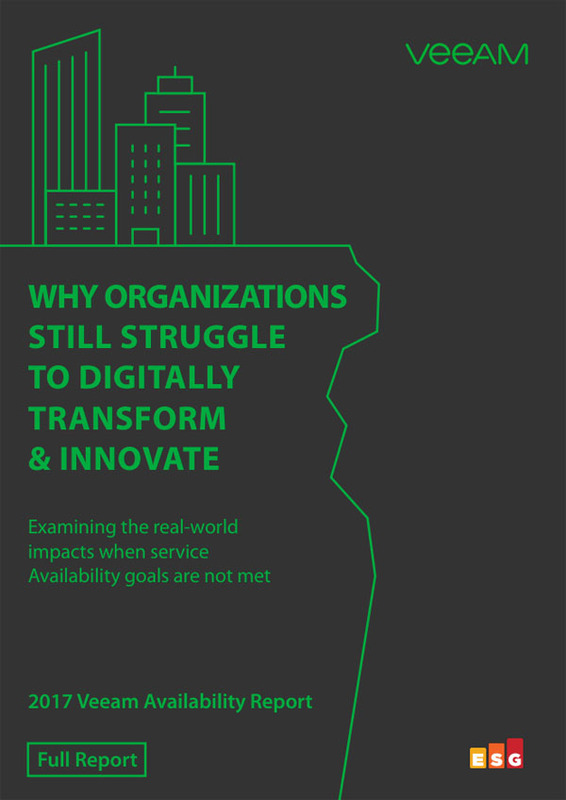 Examining the real world impacts when service Availability goals are not met. Veeam® commissioned ESG to survey over 1,000 global IT decision makers to better understand the protection, recovery, and Availability challenges they are facing today. Results also showed there was a 36% increase in YoY incidents, reflecting the problem is only getting worse. Organizations can no longer afford to delay and must work to accelerate their planning and implementation of modern Availability solutions to ensure reliable and rapid recovery. 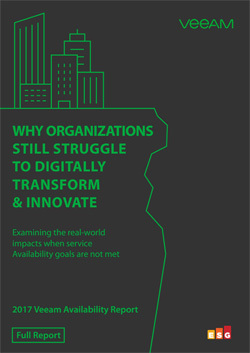 The big question is – what can your organization afford to lose? Download the full report to learn the three key critical steps every organization needs to take to ensure the viability of their IT systems and evolve into an Always-On Enterprise™.